That’s no moon. It’s a bomb. A bath bomb. This space station is the ultimate power in the bathing universe. Drop it in your tub and watch it explode. These bath bombs work much better than those half finished ones from Return of the Jedi. 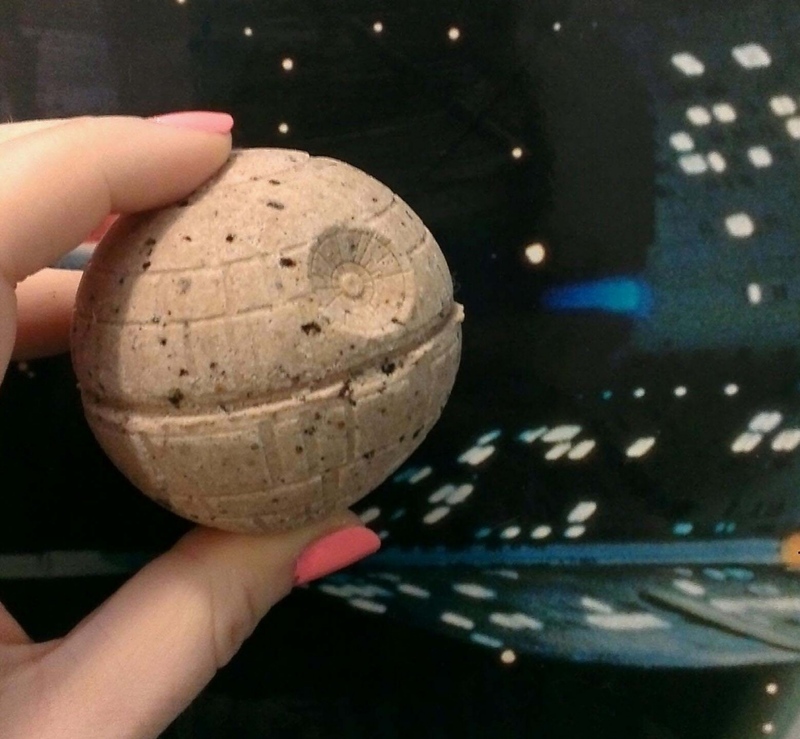 Etsy seller Veelightful sells these in her Etsy shop, where you can find all kinds of geeky bath products. They come in several scents: Orange with a Kick, Mochacinno, Chamomile Peppermint, Lavender Vanilla and Green Tea Lemon & Honey. When the Empire Strikes Bath, you will never be the same. 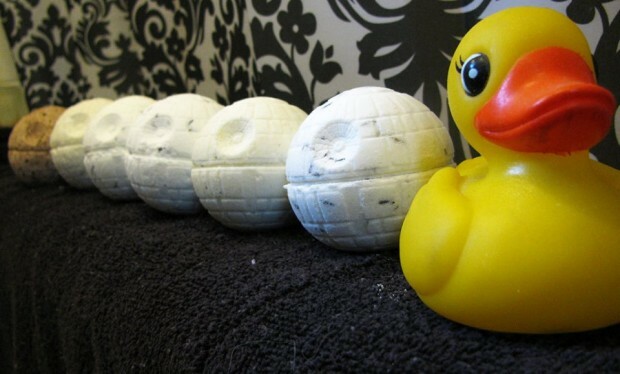 Prepare for a nice relaxing bath that will obliterate your stress like Alderaan.